Thinking back to the days of changing my very first diaper, I didn’t know what I was doing. In fact, the nurses taught my husband while I was still groggy from my c-section. He had to teach me the next day. From that first diaper to my 10,000th diaper (just a guesstimate) I have learned how to do it quickly. … the stinkier the smell is! This sweet little girl may look all cute and innocent, but she can stink it up with the best of them! That is why we have a Playtex Diaper Genie in our nursery! Hands down, the Diaper Genie is the best diaper pail to control odor! You can read my full review here! Right now Target has an amazing deal that is perfect for those of us who deserve a little reward for all those stinky diaper changes. Right now until the end of the month you will receive a $25 Spa Finder Wellness gift card after purchasing 3 or more varieties of Diaper Genie refills at Target! All you need to do is save your Target recept and going to the this website. It took about 5 minutes to do and I got my $25 Spa Finder Wellness card within 15 minutes! Now is the time to stock up on Diaper Genie refills. You can redeem this coupon up to two times while supplies last! I actually only spent $20 total for the three Diaper Genie Refills. It’s kinda like getting free money only better because now I “have” to go to the spa! And I’m going to need it. I start potty training this month! Ok moms, I need your potty training tips! 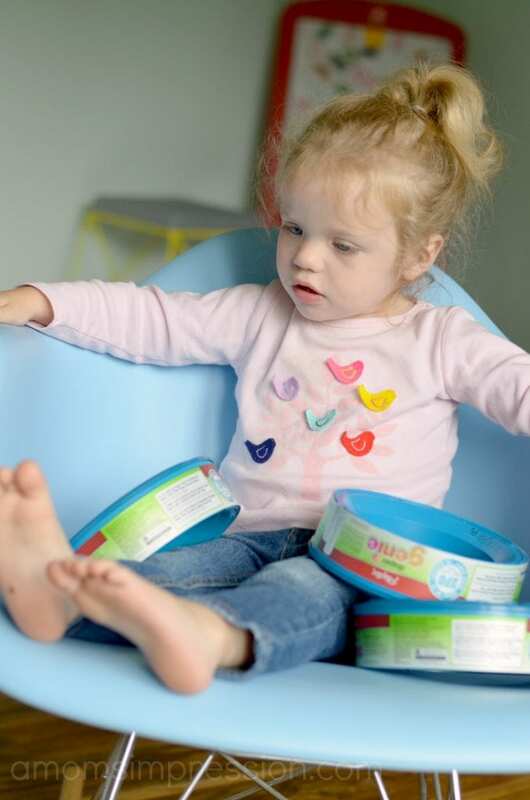 How do you keep sane while potty training? Those little ones can get pretty stinky. Lucky for you there is the Diaper Genie. I love a diaper pail, but one that doesn’t use the sausage tube o’ diapers bags. 🙂 We had a pail that fit generic trash bags and it worked for us. What a sweet baby! She is so stinkin’ cute. She is a cutie :-).As for potty training advise just do not rush and let your little one decide when ready. I loved Diaper Genie when my son was little ! 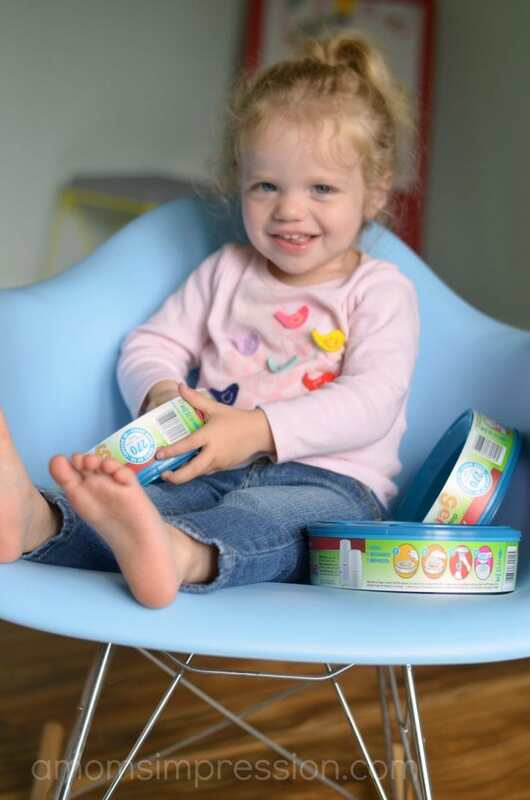 We are currently working on getting pregnant with baby #2 and we will be putting Diaper Genie to good use again! Containing the stink is half the battle! I’m a big diaper genie fan, and the “snake” doesn’t bust apart when you go to unload it all. My daughter was so easy. One day she said she wanted to use the potty and that was that! Good luck with potty training. We put our kids into underwear for potty training and kept having them try every hour or so(longer if they made it). They trained in 2-3 days this way. When I potty trained my boys I did it by just putting them in underwear and letting them have at it. Mine were both trained in a day. Potty training my two older kids was soo easy! Hopefully with the baby, it will be just as easy! Babies are awful cute, but they sure can be awful stinky too! I loved my Diaper Genie when my little guy was itty bitty. I dont know much about a genie , but I can see the need for one! Most of my friends had kids right out of high school and the few that have them now that I am older prefer cloth diapers. Wow, I honestly didn’t know they still made these! This was one of the #1 things on my list when our daughter was born 18 years ago, and my sister-in-law bought us one, and I was so thankful for it. As for potty training, we used the book “Potty Training in Less Than a Day” and it worked for us! Best day of my life, LOL! I don’t have any kids yet, but I hear the Diaper Genie is a must have. Thanks for sharing! My son just got through potty training (he’ll be 3 at the end of August.) His daycare insisted on starting him earlier than I think I was ready for. It took a couple of weeks for him to accept it, but I’m so glad he’s (mostly) out of diapers! No kids in our house, but this is certainly a great idea for baby showers! Thanks! Believe it or not, I miss my kids being in diapers. Love the Diaper Genie! It’s a must-have for anyone with a baby in the house. I don’t have any solid tips. Potty training is one of the hardest things to do in parenting. Wine! No I’m kidding. I stayed sane by just trying to remember that each day we hit a milestone of using the potty was one more day closer to me not having to wipe poop off of baby butts! Oh darn, you “have” to go to the spa, lol. What a great incentive! It’s been so long since we did the potty training, but I remember my girls loved the sticker rewards. I’d definitely do a sticker chart! 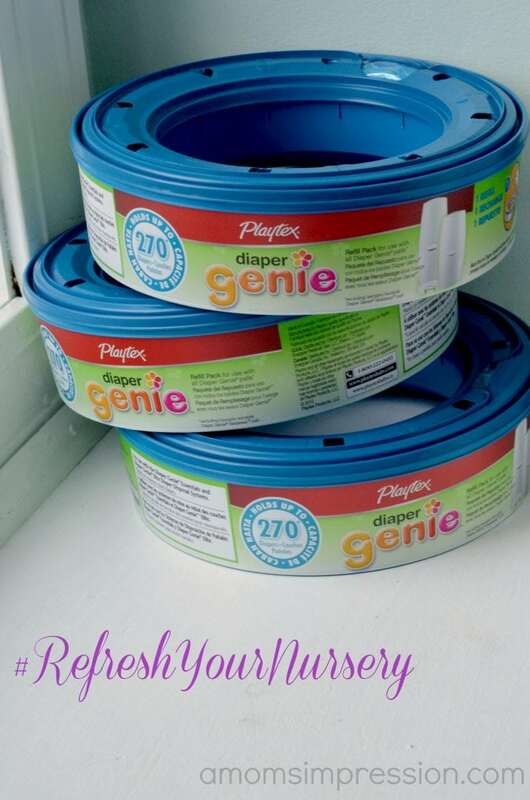 The Diaper Genie is one of my all time favorite nursery products! It is a must have for any new mom. Potty training is my least favorite thing! But my advice would be to be patient. Let them know when they are ready, it will save you stress! Good luck with your potty training. Let her train when she is ready. She will let you know. I have heard so many great things about the Diaper Genie. I am planning to get a Diaper Genie for the new addition to the family. I think the diaper genie is a great baby shower gift idea. Good luck w/the potty training! You have a cute little girl! We gave some of these and a Genie to my sister-in-law and she loves it! I want to get a Diaper Genie with our next child. They look so handy to have! Give up! I am serious. With my first kid, we were potty training for 1 1/2 years! I was begging, bribing and banging my head against the wall before it was all over! With baby #2, he is doing it on his own for the most part. Never push them to start too early. Your daughter is just too cute! I had a Diaper Genie when my daughter was a baby and I loved it! Love that Diaper Genie. They come out with the best products when you no longer need them. Super deal with that spa card from Target! I’ll definitely share it! I loved my diaper genie. It made the nursery a much nicer place to be because my son was pretty stinky too. Would you believe, I have 5 kids (plus a step-daughter) and I have never tried a Diaper Genie?!? I really need to get one, we’re still using diapers in the house. Someone said she is so stinking cute…and I said in my head literally because of this post (PUN FUN)! The diaper genie is a great invention!!! We had a diaper genie when my girls were little and it was great! Definitely a must-have for nurseries! 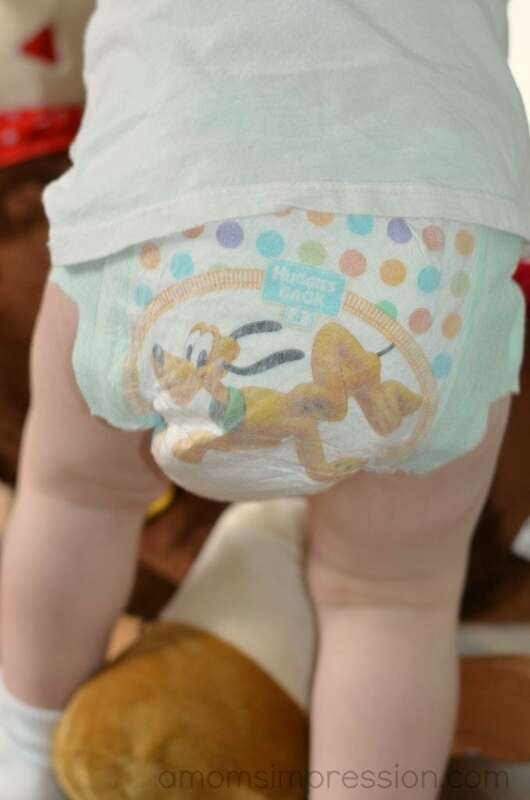 Diaper genies are a lifesaver. I honestly don’t know how I’d survive without one. I need to read each and every comment. I’m right there with you in the potty training trenches. I could use all the help I can get. My sister is expecting and I thought this would be a great thing to have for her. We all know some diapers can really stink! Love the diaper genie! 🙂 It was one of the first things I bought! I’ve always wanted a Diaper Genie. I’m on #4 and still don’t have one! Wow. Diaper Genie has come a long way since I had one. I would have loved to have had a Diaper Genie back 20+ years ago. A Target would have been nice back then, too. I worked and let my husband deal with potty training! Actually, I think you have to set small goals. First, a whole day at home without an accident. Then, are you brave enough to leave the house. Be prepared for setbacks and remain positive about the progress. What a great promotion! I remember the diaper days all too well and especially loved visiting the spa during that time. I wish I could help you but I;ve been out of that stage for more thn a decade. Besides that, your daughter is ADORABLE!